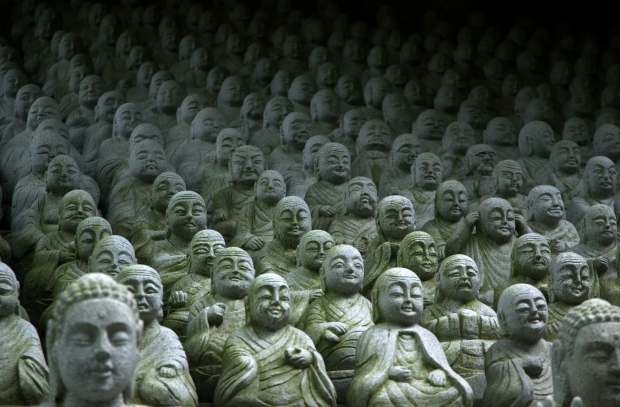 These buddhas are under a natural rock overhang near a cliffside temple in Seoul, near Dobangsan. 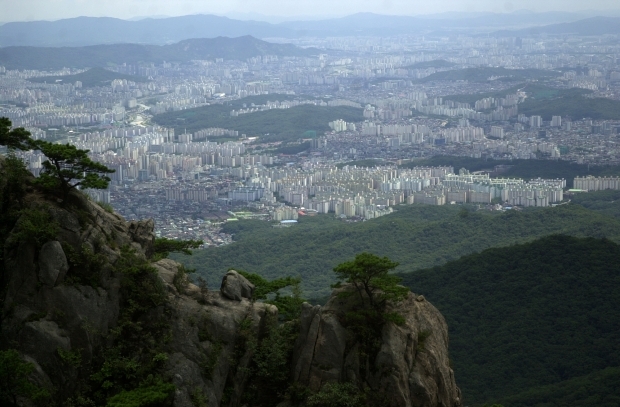 A view of northeastern Seoul on the way up to Dobangsan's peak. 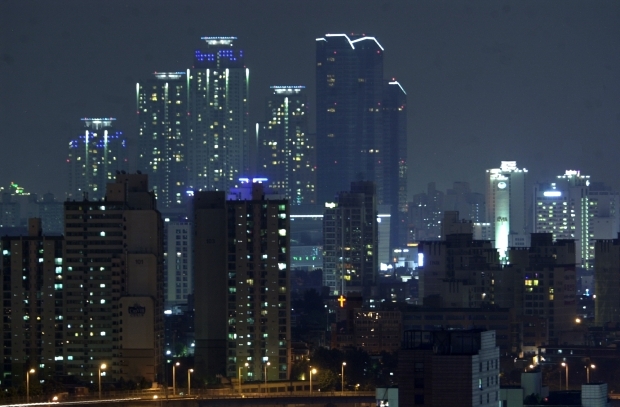 A view of the Star City at night from my apartment roof in Jangandong, Seoul.